A beverage company has claimed that having two cans of their coconut drink every day, or applying it directly to the breasts, could increase breast size, btime.com reported. The market watchdog in south China’s Hainan Province has started to investigate a beverage producer for possible false advertisement. 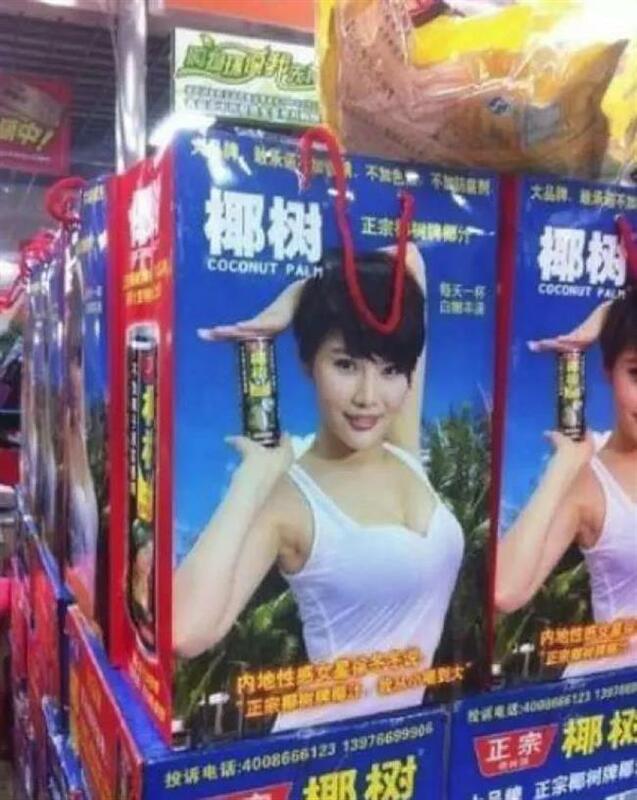 The package of a coconut drink made by Coconut Palm Group featured women in tight, low-cut tops and claimed it could enlarge breasts, Beijing-based news portal btime.com reported. One of the advertisement posters claimed that having two cans of the coconut drink every day, or applying it directly to the breasts, could increase breast size, the report said. In a telephone interview with btime.com, the market watchdog in Haikou City, capital of Hainan Province, said it is collecting evidence and investigating the allegations. Coconut Palm Group claims to be China’s largest enterprise producing natural plant protein soft drinks.